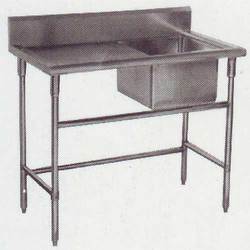 We are engaged in manufacturing a wide variety of Single Sink With Table, which is easy to fix and require low maintenance cost. Our product is made from high quality stainless steel which increases its durability and reliability. These are used at hotels, restaurants, industrial canteens and fast food centers. Backed by skilled workers, we are trading a wide array of Single Bowl Sink. 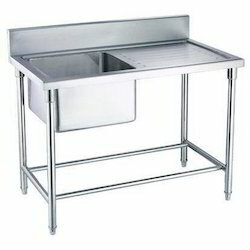 - Pioneer in the industry, we are engaged in trading an impeccable range of Single Bowl Sink.